High quality and stylish uPVC conservatory installation. This semi-detached home can now benefit from a usable new living space, thanks to DWL’s uPVC conservatory installation. The key element the customers wanted from their new uPVC conservatory, was space. Unable to extend their property upwards or via the front (due to standing on a main road), the team here at DWL suggested a modern conservatory extension. With promises of more space, light and versatility, the family were keen for the team to start as soon as possible! Other than more space, the customers were also keen to have a conservatory installed that fits in with the character of their home. DWL’s design team ensured that similar brickwork was used for the base, and that a clean white frame was installed. Thanks to the quality of modern uPVC, this frame will last for years without discolouration, peeling or even needing much maintenance hassle. The family also opted for French doors, that have been incorporated into the side of the uPVC conservatory. This provides quick access both to the garden and the other existing back door. Not only does the new uPVC conservatory provide much needed space for the growing family, but it can be used all year round. This is thanks to the quality of the glazing used – heat will be kept inside, even when temperatures drop externally. Equally, unlike dated extensions, the space won’t get too stuffy in Summer. The space can be used by all members of the family; a family room by day, to a relaxing room for the adults and their friends at night. It doesn’t get much more versatile than that! The customers were impressed by DWL’s professionalism. 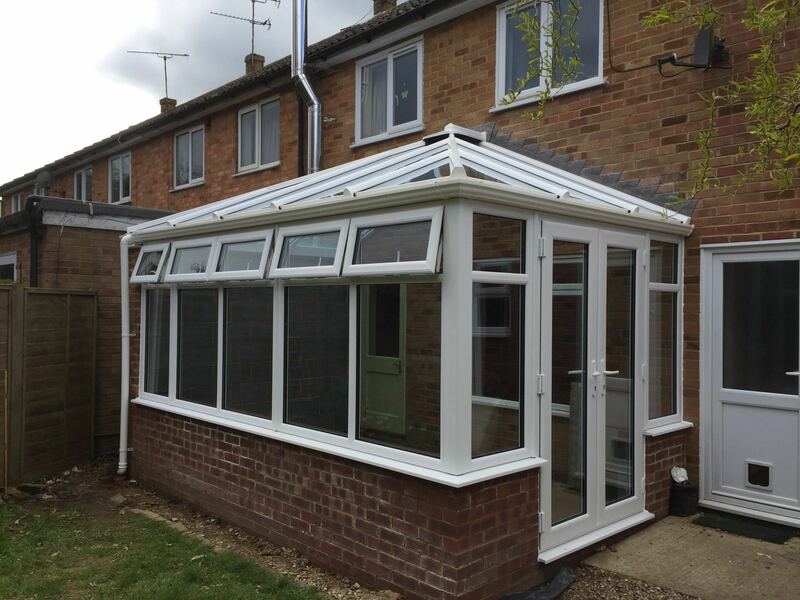 The uPVC conservatory installation was completed quickly and with as little disruption as possible. The family were also happy that costs were agreed in writing before any work took place, which removed any worry of hidden costs as the project went on.